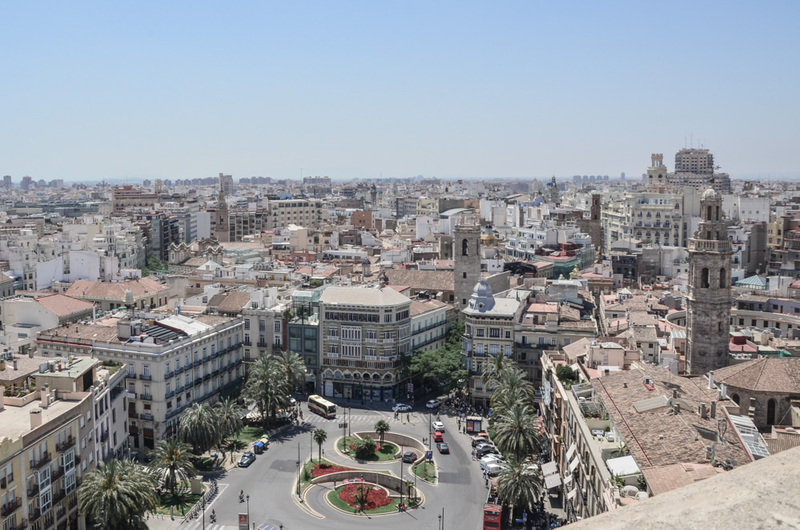 The third largest city in Spain and the capital of paella is a vibrant spot situated on the East Coast of the Iberian Peninsula, just a few kilometers direction South from Barcelona. 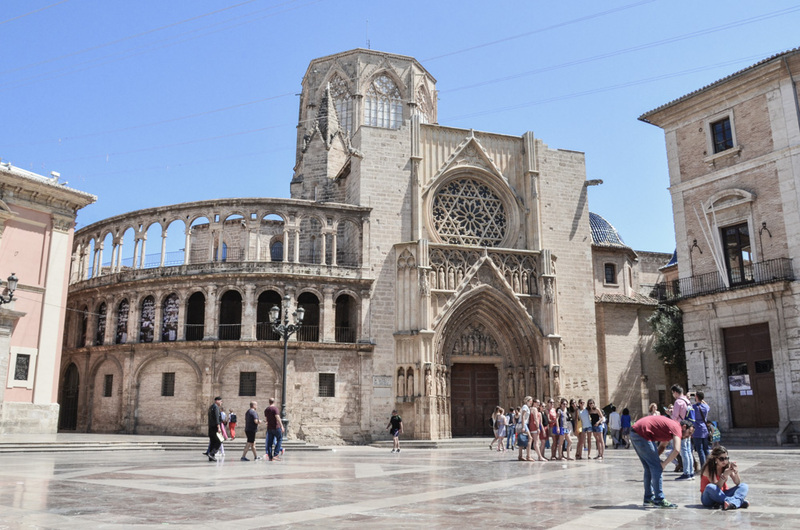 Thanks to its large historical center, cultural attractions, and rich eating out options, Valencia is one of the country’s most popular tourist destinations. It combines the majesty of Madrid with the beach and young spirit of Barcelona while it stays still less touristy than both of these cities. 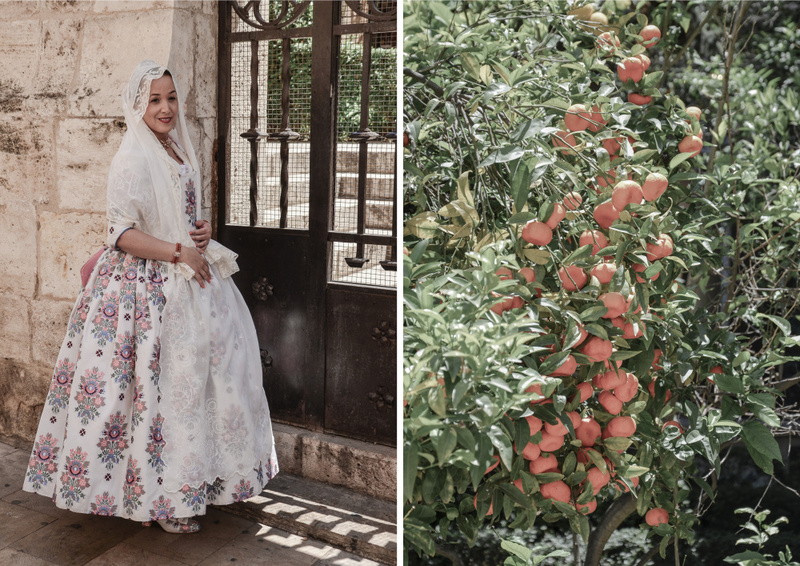 Last year by the end of May, we had the pleasure to visit beautiful Spanish town of Valencia on the occasion of our friends’ marriage. We stayed a couple of days longer in order to explore the town. 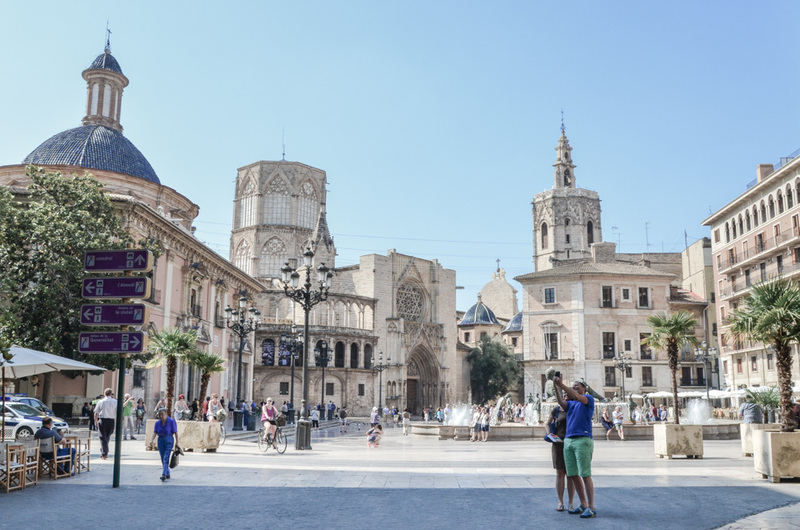 In this post, I give you a list of 12 things to see and do in Valencia, this beautiful Spanish town. Are you ready for a virtual walk through the city? Then let’s go! I hope this will inspire you to visit this amazing place one day! Here you stand on a spot that used to be the center of the Roman city. 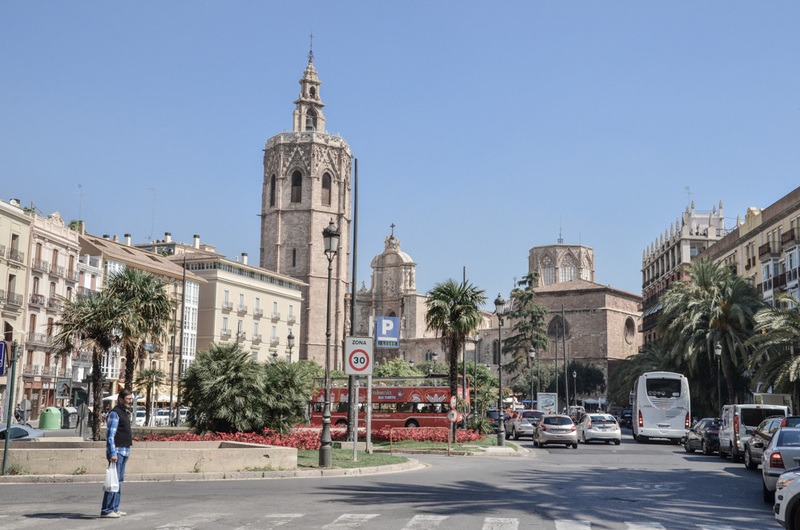 Nowadays this square is surrounded by impressive historical buildings such as the Nuestra Señora de los Desamparados and the Cathedral. In the center, you will notice a fountain which demonstrates the irrigation of the Turia river, which is now the Turia parks. 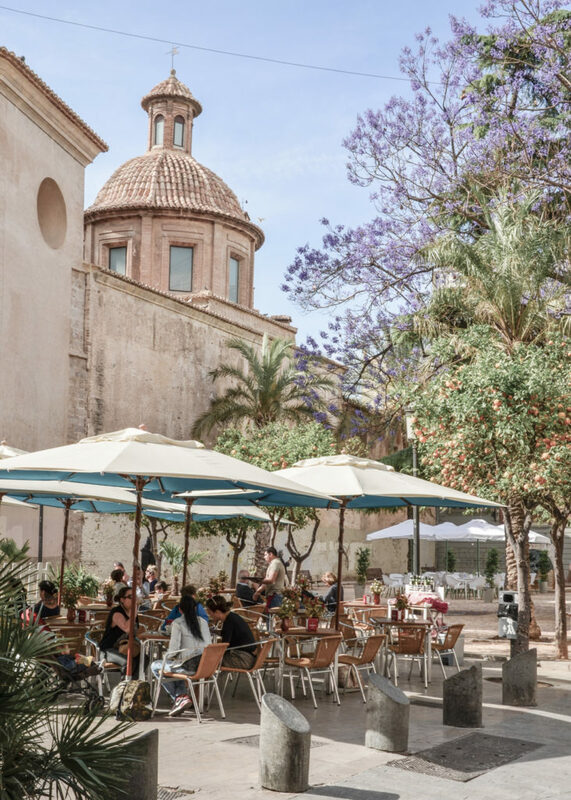 Around Plaza de la Virgin, there are many places where you can have a drink or breakfast outside on a terrace, enjoying the view of the square, pigeons and of course, the sun. 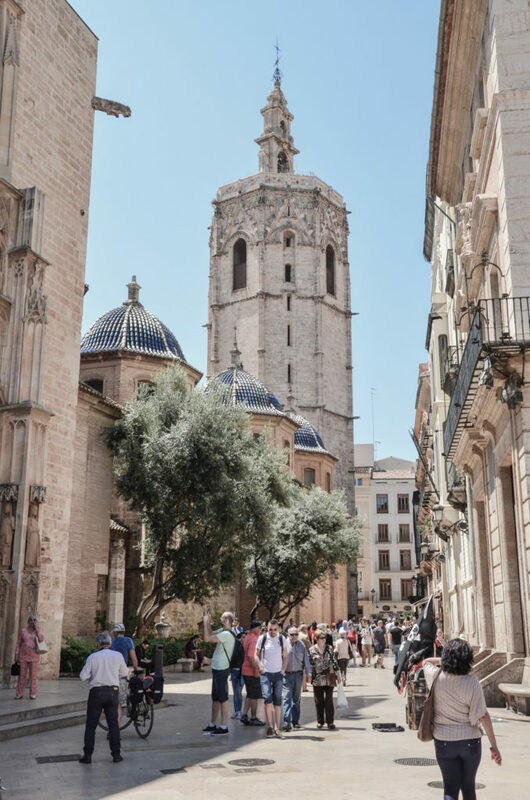 The Cathedral (Seu) is situated in the center of the ancient Roman city and it was built in the second half of the 13th century on a site of a former mosque. 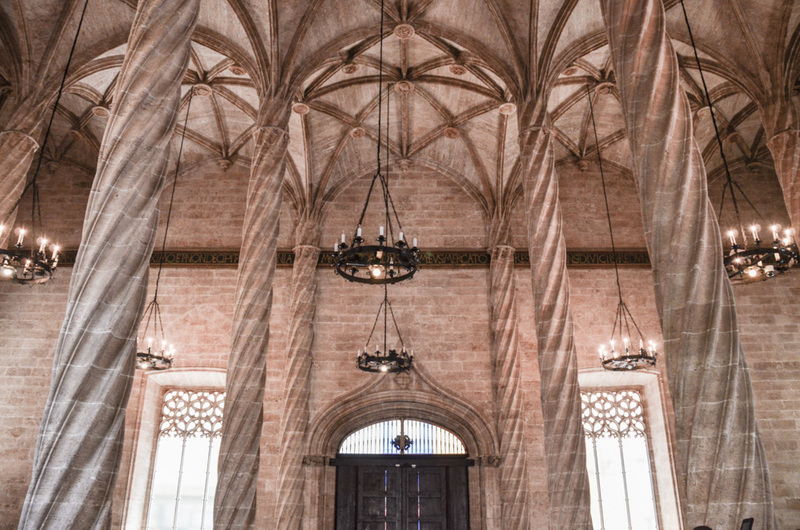 The cathedral is a mixture of Romanesque, Baroque and Gothic architectural styles and is known for housing the Holy Grail, the cup that Jesus was supposed to have drunken at the last supper. For great views of the city, climb to the top of the Miguelete bell tower. 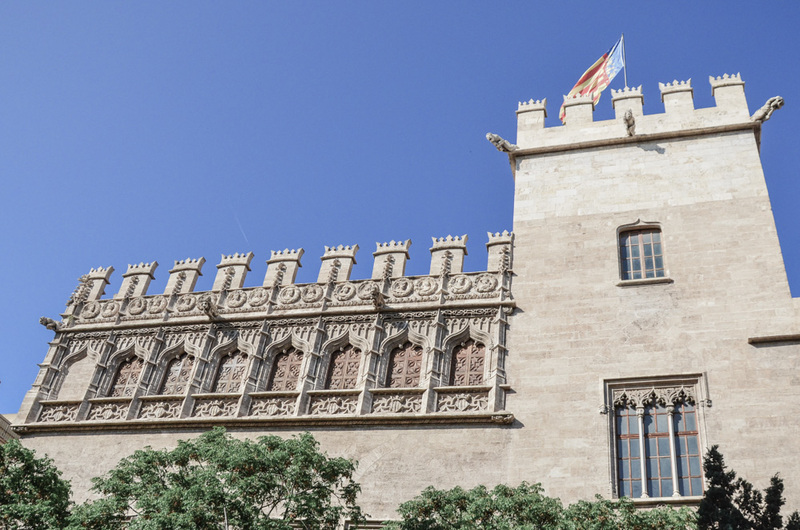 It will only cost you a small fee and the views of the city are spectacular, so this is something you shouldn’t miss among all the things to see and do in Valencia. 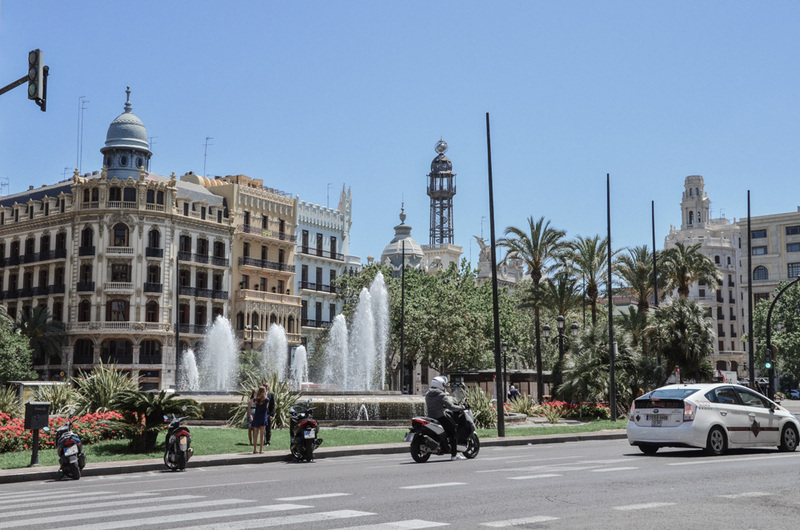 One of the most beautiful squares in Valencia is Plaza de la Reina, decorated with palm trees and flowers. The Cathedral rises in its background. 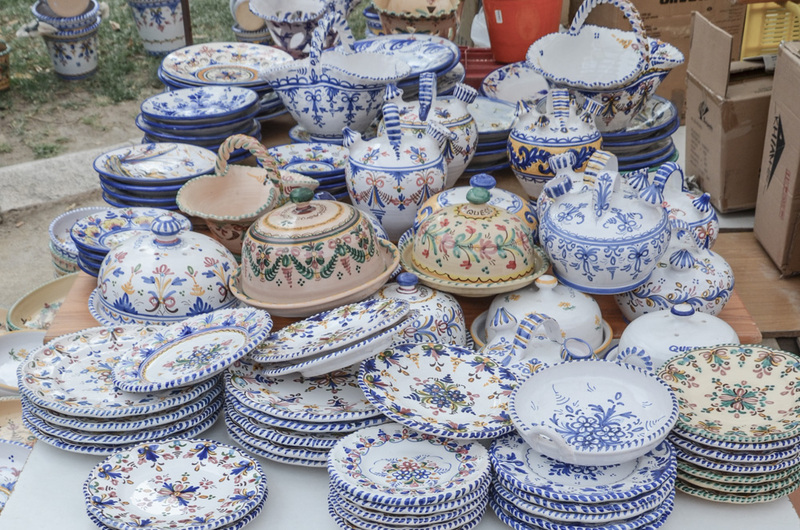 Sometimes, there are artisanal craft markets where you can get some hand made ceramic products. At the square and in its surrounding streets, you can find some nice places to eat or have a drink. 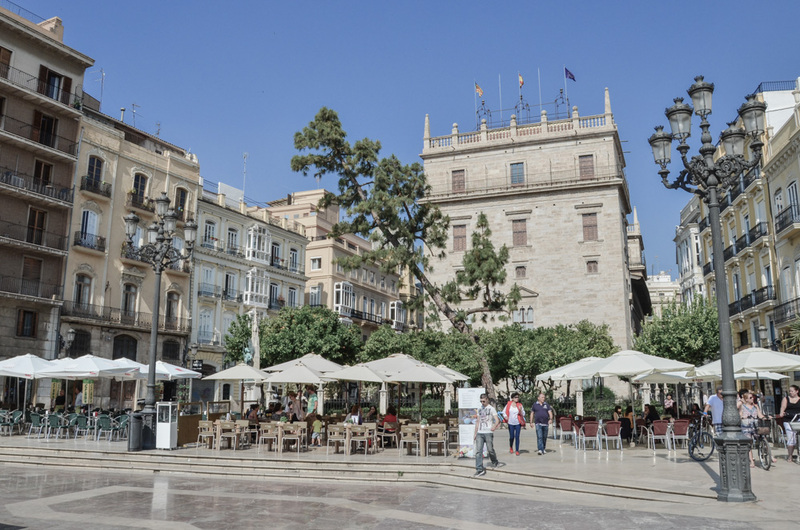 This is the main square in Valencia. 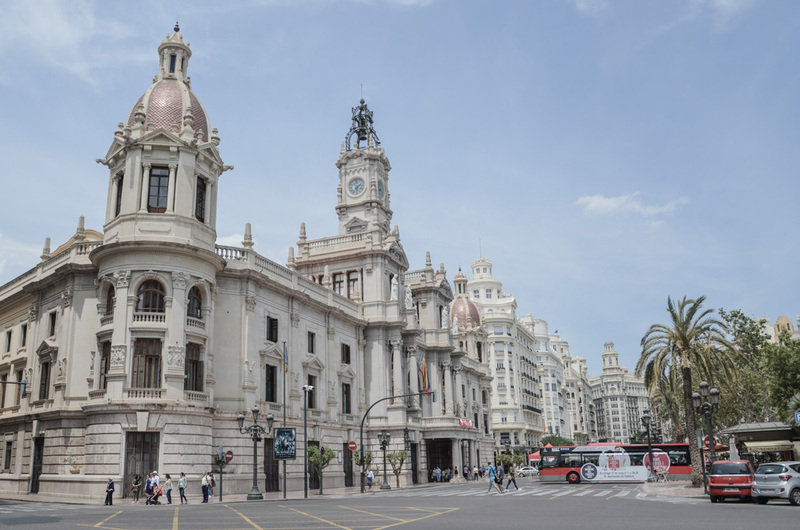 As its name suggests, you will find here a stunning building of the neoclassical Town Hall, then some administrative buildings, a fountain with flowers in the center. 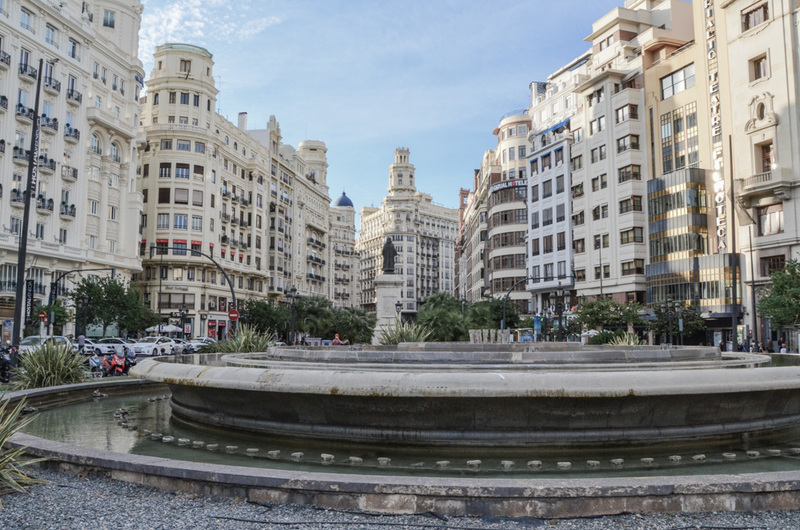 The buildings surrounding the square have such a majestic look because they are originally from the Valencia’s golden age. At night, the buildings are nicely illuminated. 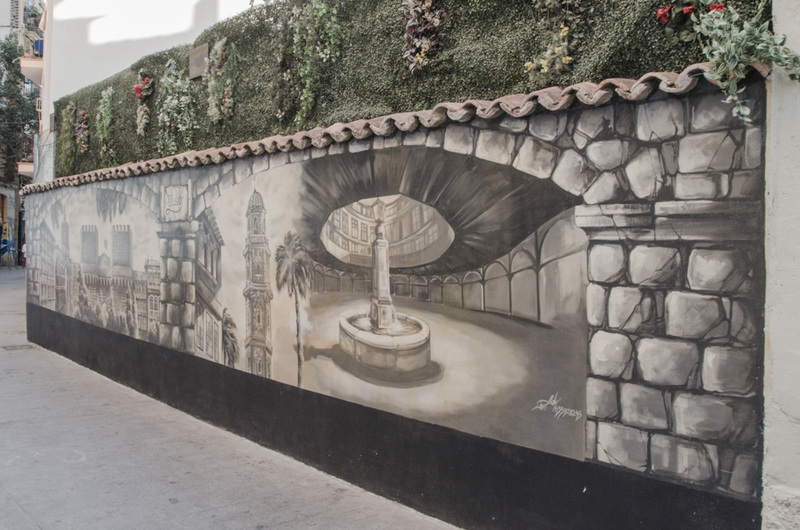 In the adjoining streets, you can find some nice restaurants (such as for example Marisqueria Civera) and shops. 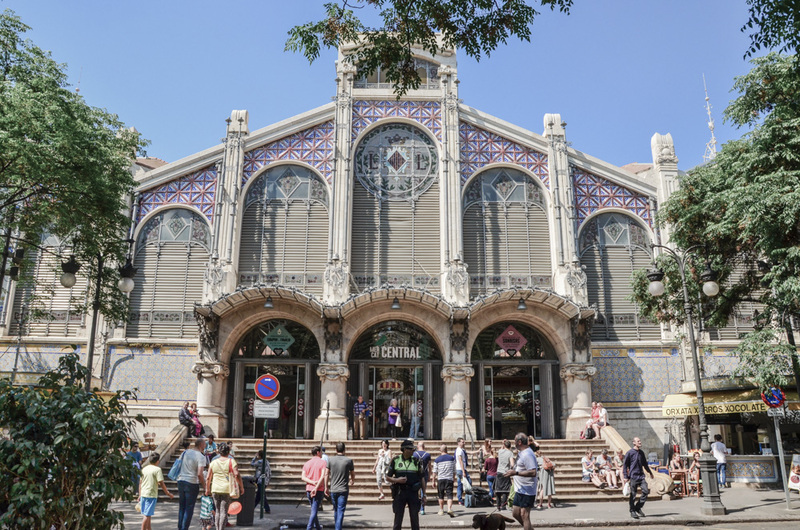 The central market is situated in a great modernist building constructed in the beginning of the 20th century. 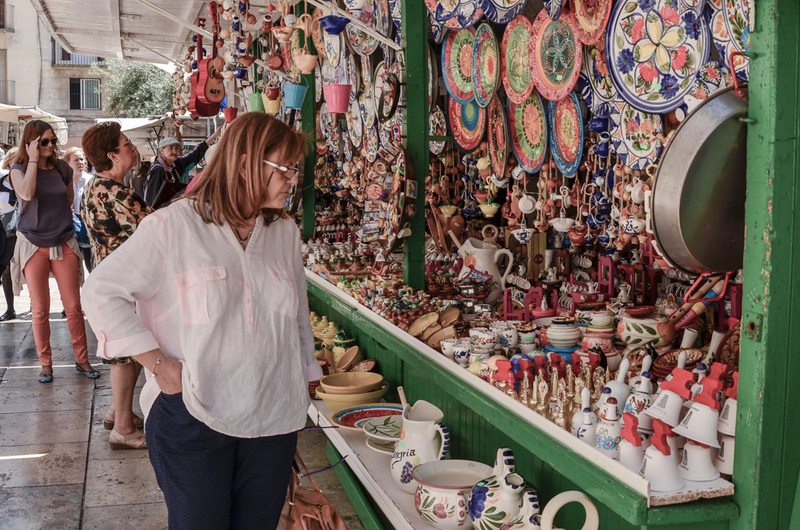 On the surface of 8,000 square meters, you can find more than 1,000 sellers who have anything from fruits and vegetables, fresh fish to traditional meat and cheese products. 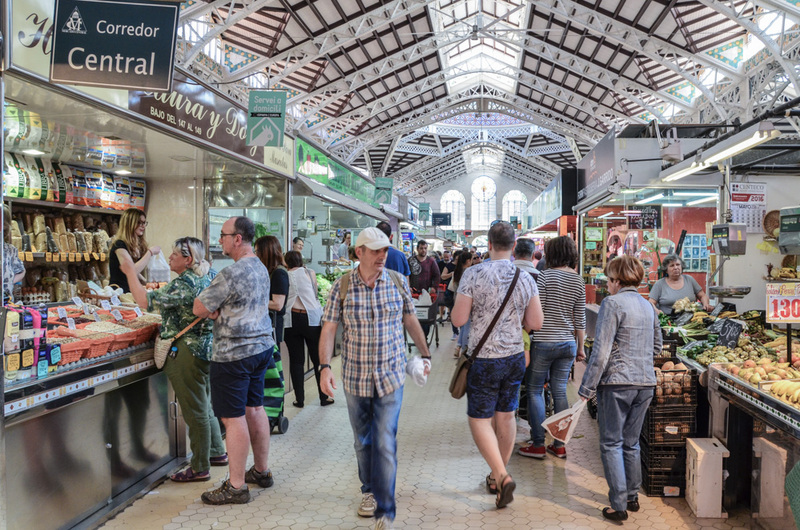 I put this market on the list of 12 things to see and do in Valencia because it is a place where all your senses will be delighted! 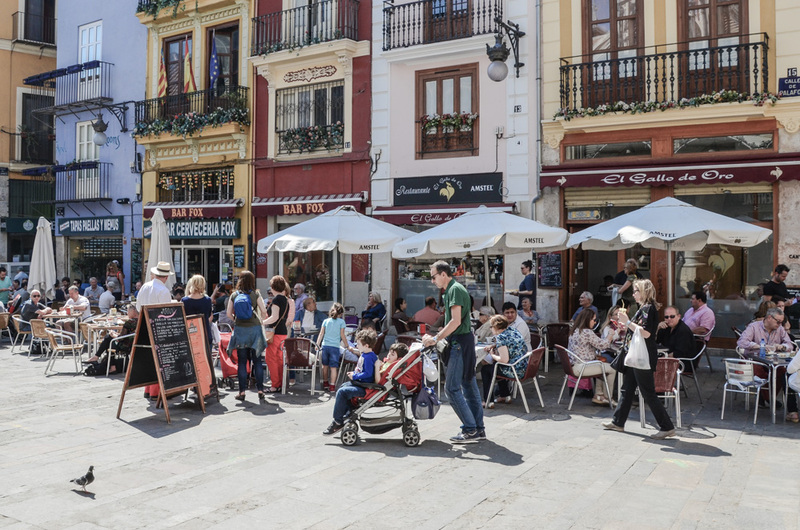 Outside of the market, there are some nice bars and cafes where you can sit for a while and enjoy some local tapas. It is open every morning until early afternoon except Sunday. 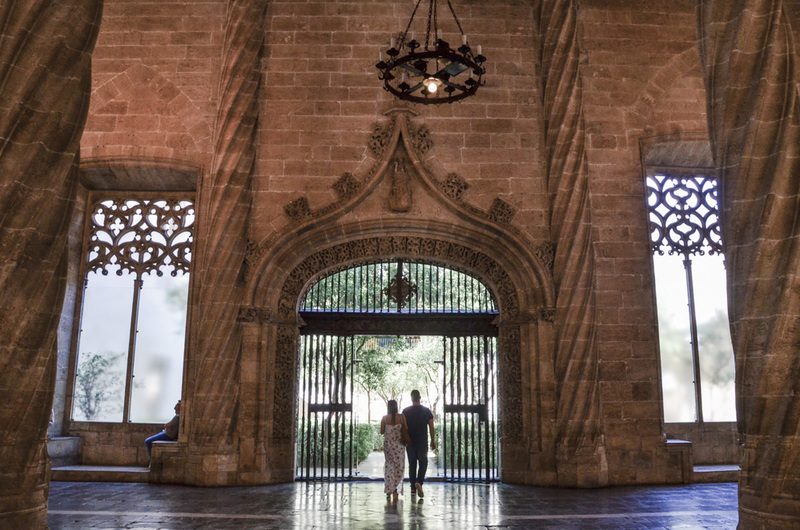 In Valencia, you can see the largest Gothic gateways in Europe. 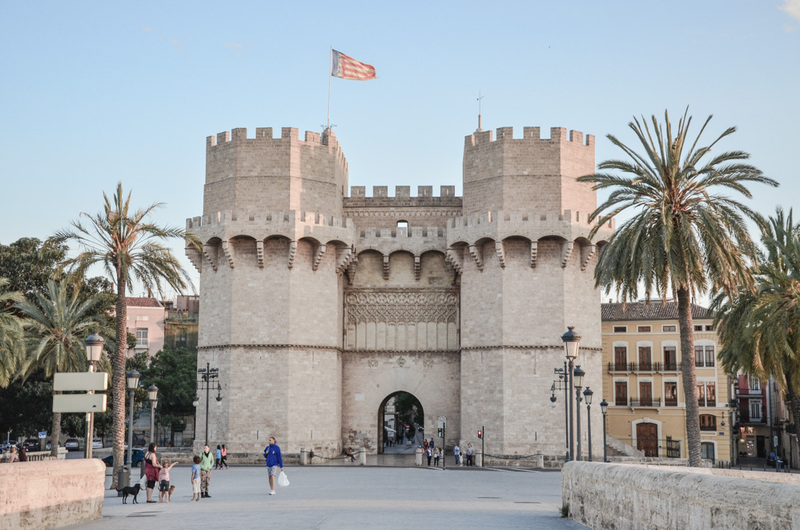 Torres de Serranos were constructed at the end of the 14th century as a part of the city’s fortification. The building served as the main entrance to the city although it was primarily built to defend it. For several years, it also served as a prison for noblemen. 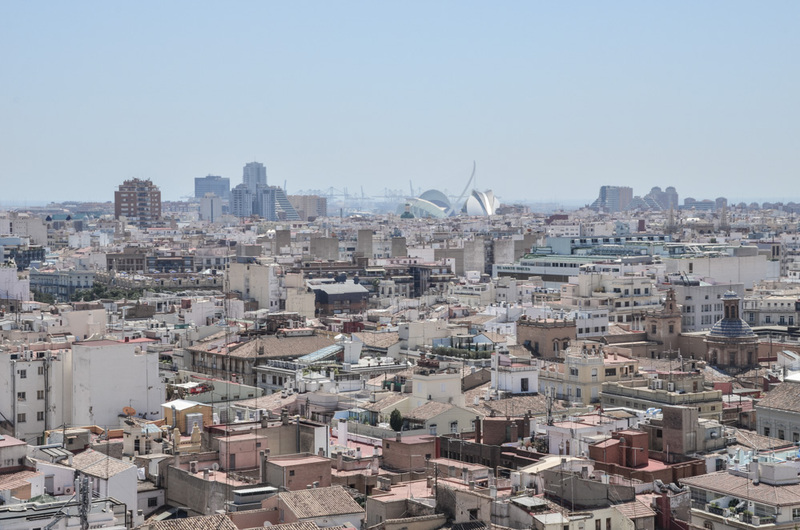 These towers are open for public every day except Mondays and for 2 euros (Sunday free), you can enjoy a wonderful view of the city and Turia garden from its terraces. 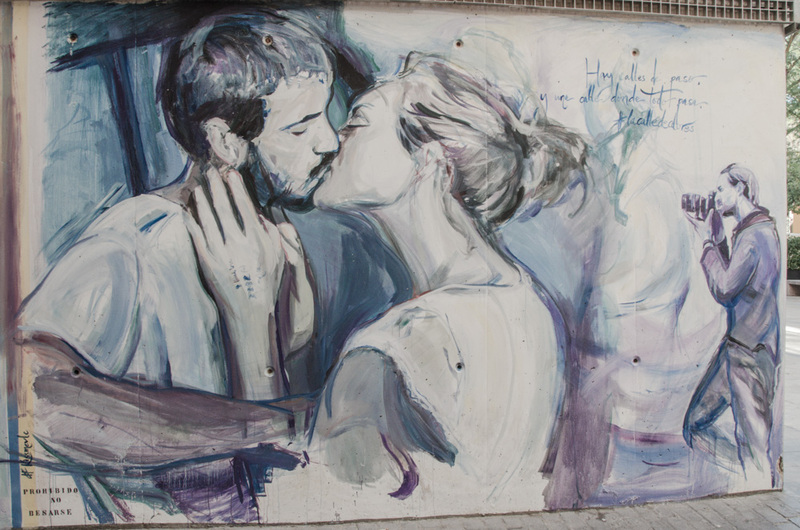 While strolling through the streets of Valencia, I noticed some nice piece of street art. 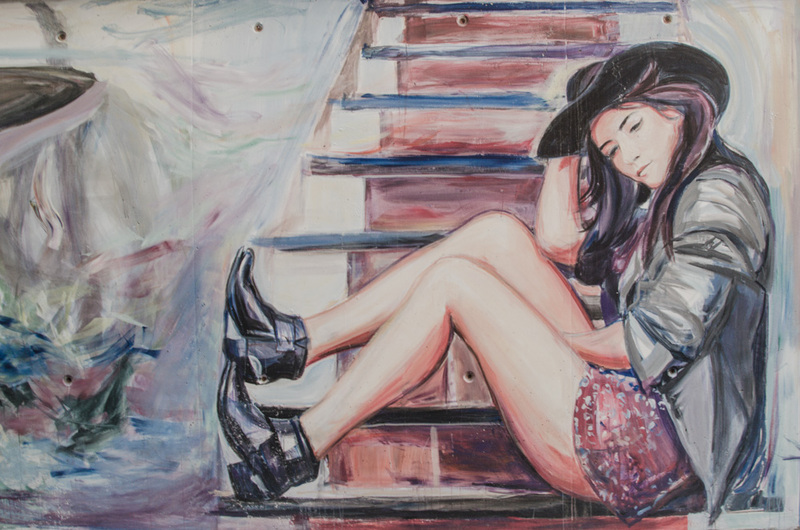 Apparently, there is an abundance of street art throughout the city. 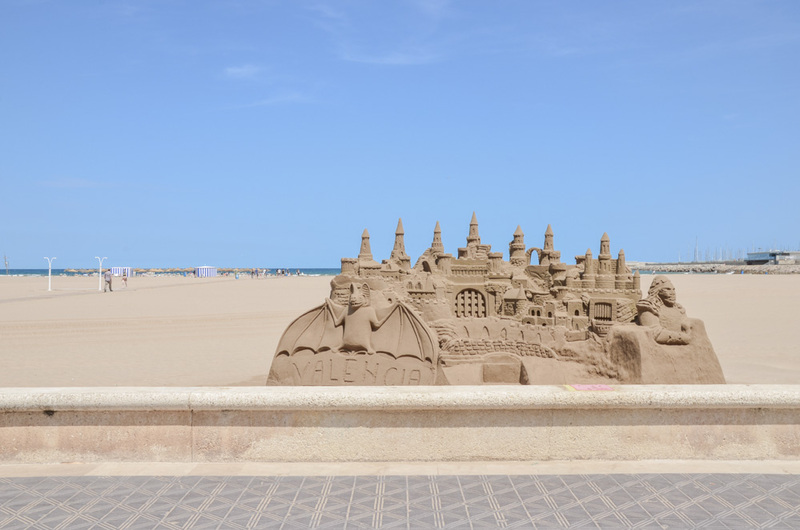 So if this is something you fancy, you may find your happiness in Valencia! Just take a walk and observe. Here below are some of the pieces I found in the tiny streets in the center and liked the most. 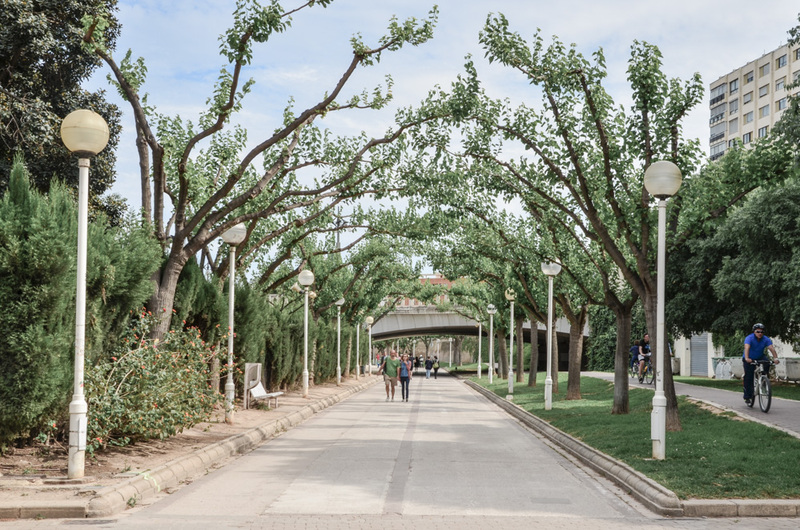 The Turia Garden Park was installed in the former riverbed of Turia River in order to stop the constant flooding. 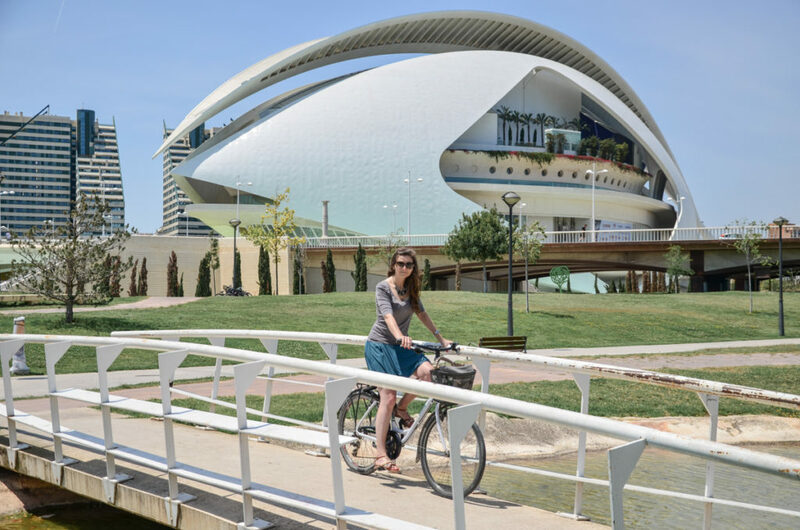 It is one of the largest urban parks in Spain that stretches from the Cabecera Park till the City of Arts and Sciences, in a total length of 9 km. The best way to discover the vast park is to rent a bike – you can find some bike rentals in the center. 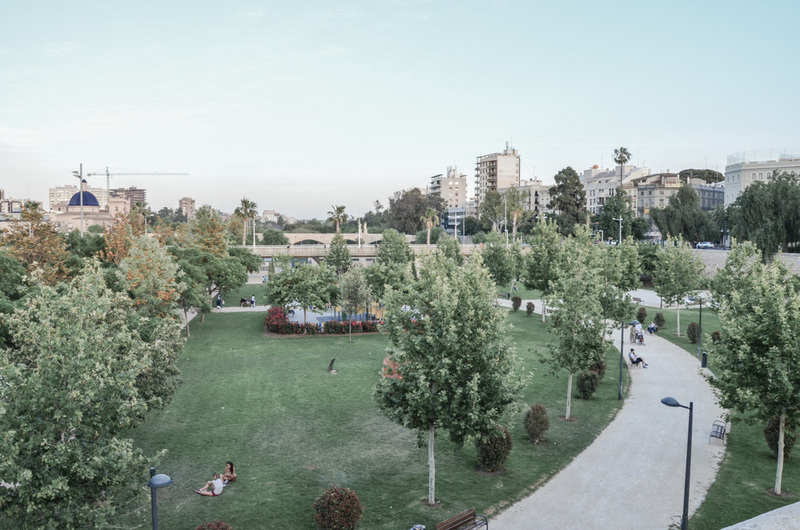 Along the way, you will pass by playgrounds, coffee places, cyclists, runners, roller skaters, dog walkers, families with kids, old people having a walk – they all come here to enjoy the city’s greenery. As this used to be a river, still several bridges of different architectural styles cross the park. 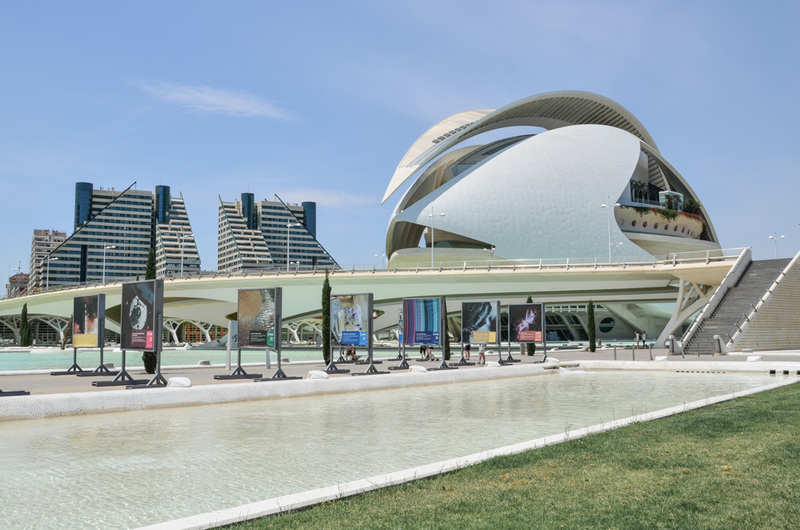 At the end of the Turia Garden Park, you will find a large cultural leisure complex called City of Arts and Sciences. 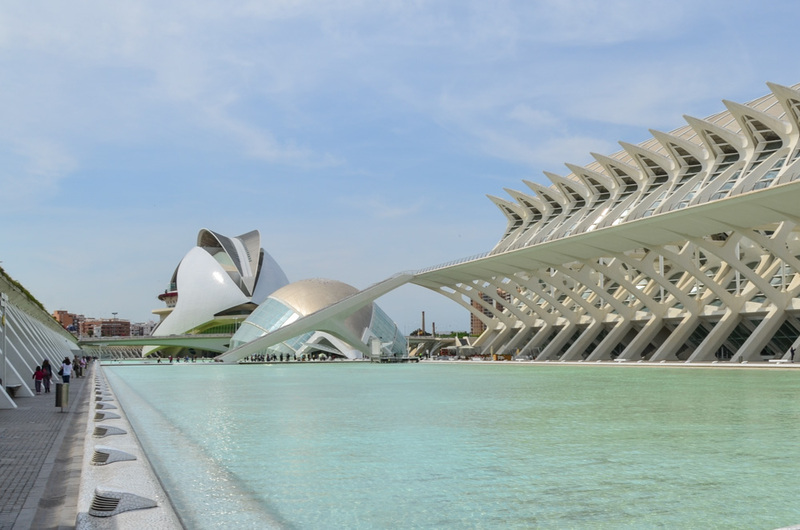 It is composed of the Oceanografic, the biggest aquarium in the whole Europe, the Hemisferic which is a 3D cinema projecting educational documentaries and an interactive Science Museum, Opera House, or the Umbracle which is a huge garden with Mediterranean plants. This is something that requires at least a full day if you want to visit all three of them or at least a half a day for each. As the weather and time did not allow us to stay inside for a longer time, we did not visit any inside part the City of Arts and Science, but at least we saw it from the outside which is still worth the bike trip. 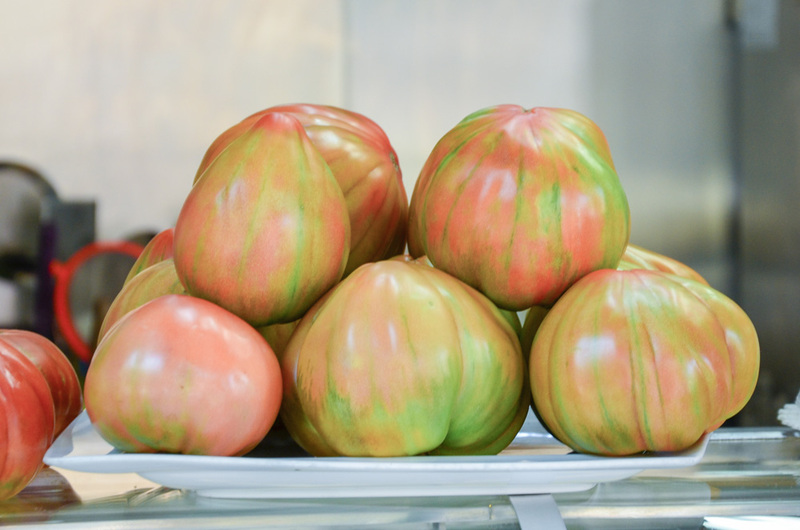 If you plan to visit this exciting place, you can get more information here. Once you have a bike and make it to the City of Arts and Science, you can continue in the direction of the beach. The closest beach is called Maravillosa and is quite large. 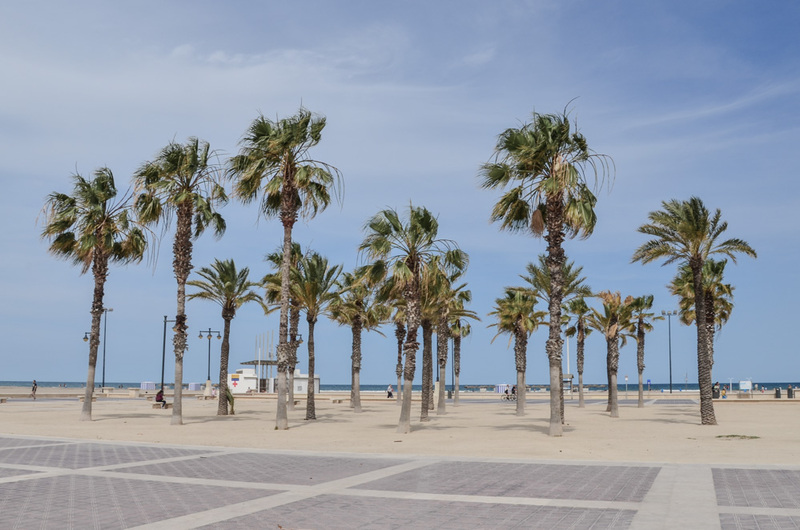 Alongside the beach, there is a promenade lined with palm trees and some good restaurants where you can try the local paella or fish and sea food. 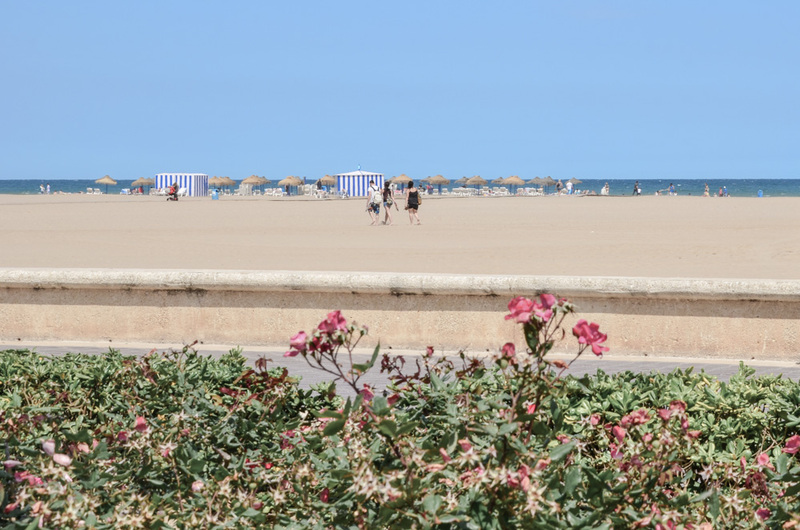 If you have a car, you can go to some very nice beaches that are located farther from the city center such as Sagunto Beach or El Saler. When in Valencia, one of the must things to do is to try the real paella as this Spanish national dish is originally from Valencia. 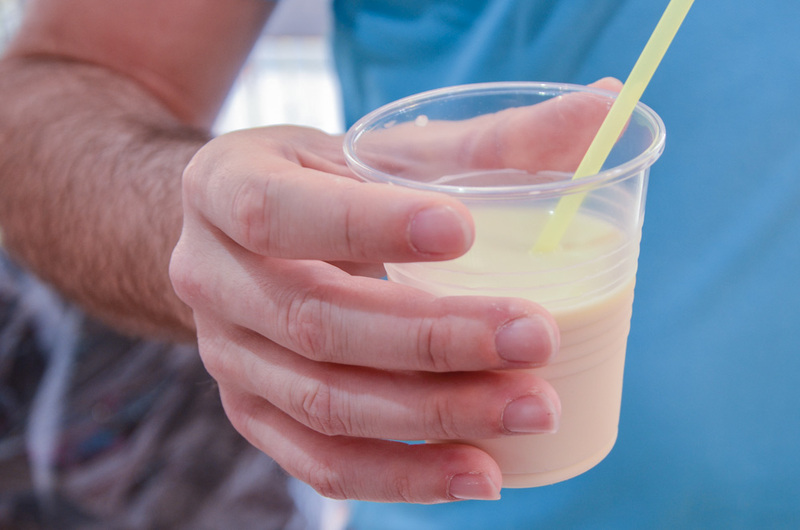 Then you must try the omnipresent horchata (or orxata) drink which is a blend of water, sugar, and chufas (tigernuts), originally from Valencia. 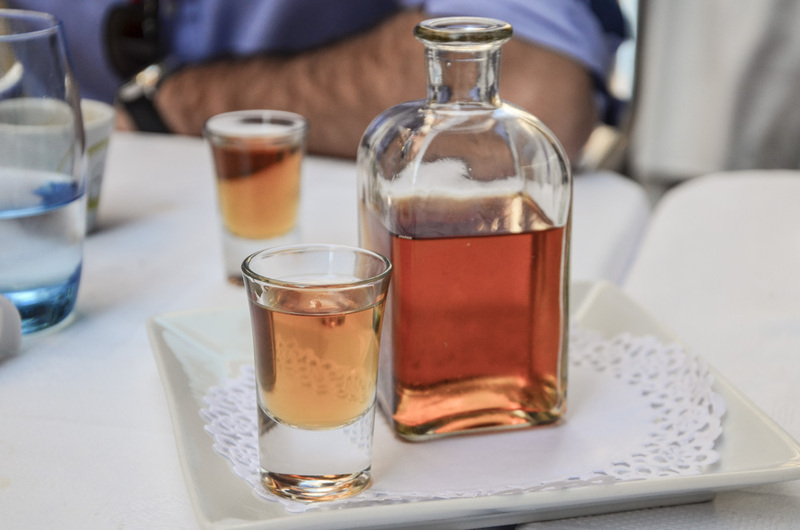 You can see many stands in the streets offering this drink on the go. 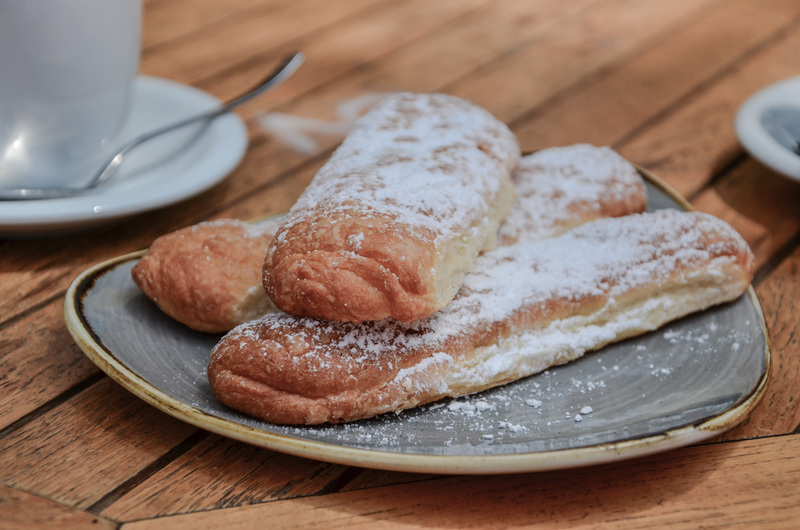 You also need to try it with fartons, the typical pastry that the locals dip into horchata. If you want to hear my opinion, I think this is a nice summer refreshment but I did not like horchata on the first sip and neither did find the fartons as something I would need to have again. 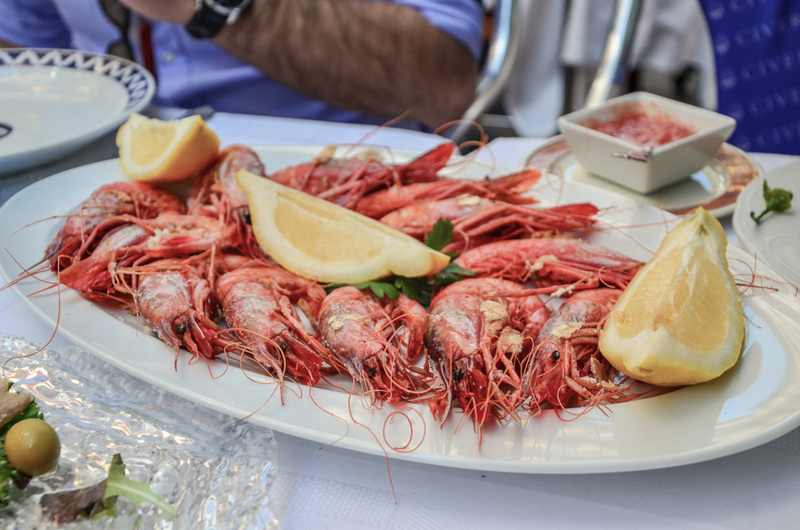 And last but not least, as Valencia lies on the coast, fish and sea food is something to have here as well! 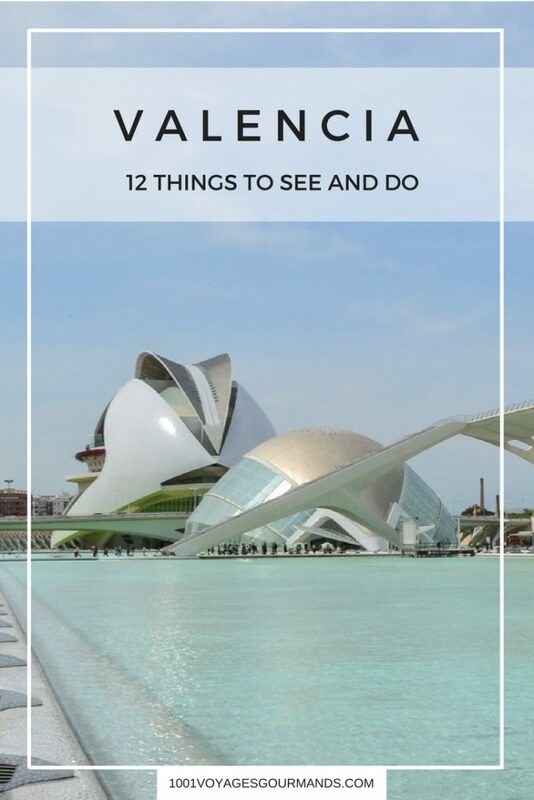 So this would be my recommendations in terms of things to see and do in Valencia, Spain. Have you been there? How did you like the city? Do you have any other suggestions that I did not mention? Let me know in the below comments! It looks so beautiful! Great photos!